"All things point to the infinite; and love more than all things else." 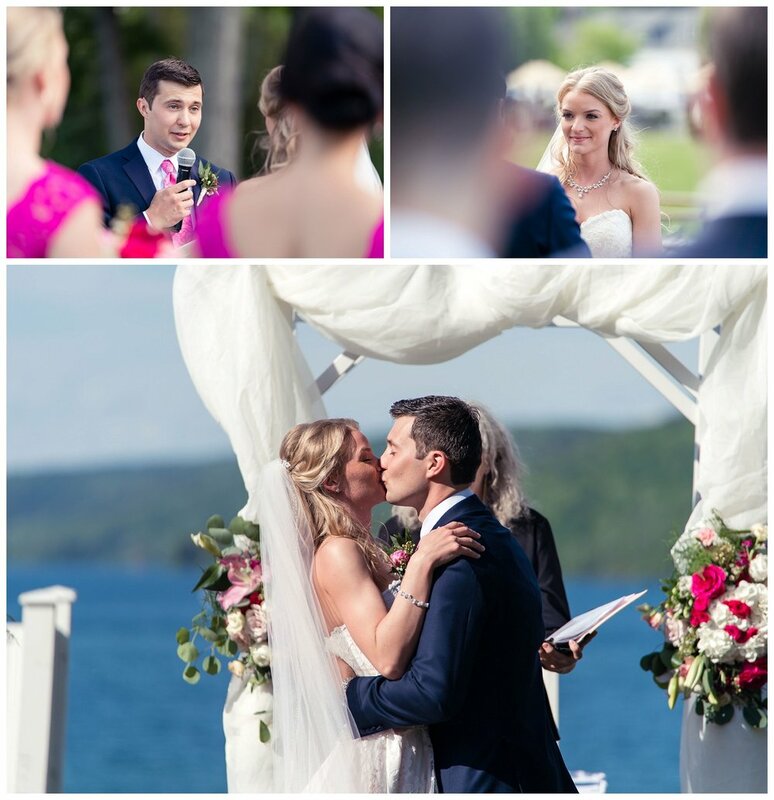 When Jacklyn was first falling in love with Nils, she suspected he might be a Latvian prince, so its only fitting that their wedding day turned out like the romantic fairy tale it was destined to be. While Jacklyn and the bridesmaids readied themselves for the big day at the Otesaga, their hair and makeup artfully styled by Stephanie Orsomarso, Nils and the groomsmen toasted to the couple's bright future over whisky. Jacklyn absolutely stunning in her lace ballgown with a sweetheart neckline and a pearl and gem belt, but the most beautiful thing about her was the boundless love for Nils she was wearing on her metaphorical sleeve. After Jacklyn's father escorted the beautiful bride down the aisle, Jacklyn and Nils exchanged heartfelt and tearful vows. As a symbol of their unity, the pair attached miniature gold locks engraved with their wedding date to a tree of life Nils crafted, as did both sets of parents, making a family heirloom to be enjoyed and treasured for generations. For their first dance as husband and wife, the couple floated elegantly in each other arms to Nathan Sykes' "Over and Over Again." Breathless laughter and tears of joy were shed as toasts were given by the best man, maid of honor, and Jacklyn's father. The pair danced the night away at the Otesaga Ballroom, surrounded by friends, family, loved ones all alike. It was a beautiful day to celebrate this couple's magnificent love. We couldn't be happier to have been able to document their love story.